Open your eyes... to Belgian dance music! There isn't anything extraordinary about Belgian dance pop sensation Milk Inc., but that doesn't mean that they are by any means a lousy group. Actually, they deliver some good dance music that is easily accepted among mainstream listeners. They follow the general trend of eurodance music that has been kept alive by such other groups as Lasgo, Jessy, Sylver, and the unforgettable Ian Van Dahl ("Castles In The Sky" just won't fade from memory...), although their popularity in North America is questionable, the group is rather popular in certain European countries. However, I feel that Milk Inc. is one of the higher-quality producing teams on the eurodance scene today; they've certainly produced some decent tracks in the past! But what of "Blind"? To be honest, I feel that it's a pretty standard track, actually. There is nothing in this track that amazes me to the X-treme! !, yet I am still kept interested for some reason and I can't explain why. The Radio Edit is actually a rather dull experience until we get to the main chorus. It's a standard beat (kick, SNARE, repeat) with a lackluster bass. 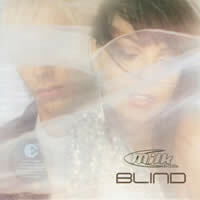 The vocals, done by current, fourth, and probably best, vocalist Linda Mertens, are also standard Milk Inc. fare. The lyrics themselves pretty much consist of her mildly scolding her ex-boyfriend for being "too blind to see". I've recently become rather bemused by songs that whine of bad significant others and break-ups and nonsense like that ...er, but that's my own problem. Anyway, average lyrics at best, yeah. The chorus has a nice synth addition while Linda croons away about how the boyfriend is too blind to see and that he should open his eyes. Yeah, it's the highlight. As a whole, it's normal Milk Inc. music; there's no new sense of direction in this song. It's just another Milk Inc. song, and that's great if you adore Milk Inc., but not if you expected something new. And what can I say about the Extended Version? Well, it's...just longer. Also added to this single is the instrumental B-side Eyes Open. I can only describe it as being repetitive without seeming repetitive. It's a synth being intensified at somewhat random intervals in the song as the simplistic non-advancing melody. Occasionally, you'll hear the "Open your eyes..." sample from "Blind", and that's a nice touch, linking it to the single's title track. I like this track, actually, despite its sheer simplicity. I will conclude that Milk Inc. has produced an average single (likely to appear on an upcoming album), proving that they use the same formula over and over to produce their music. It's not a bad single; it just reminds me of everything else I've heard by the group. Originality is the key to musical ecstacy, I say.